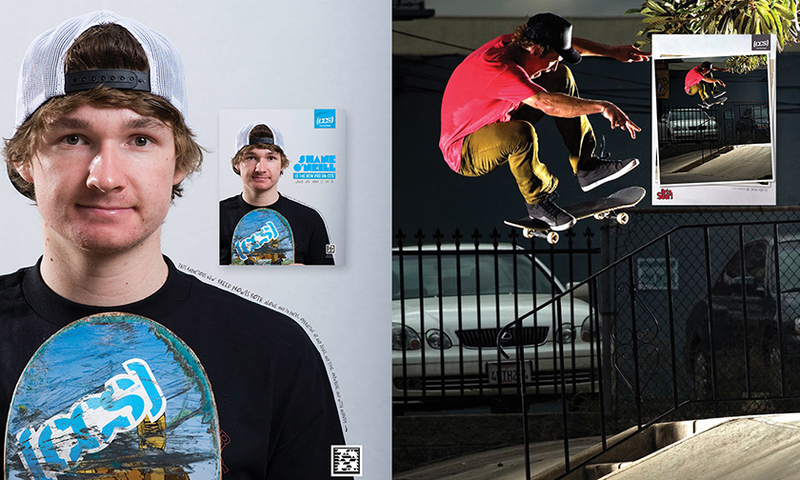 Since its inception in 1985, CCS has grown to have the largest reach of any action sports retailer in the world. In 2009 the brand was acquired by Foot Locker, Inc. Foot Locker was faced the massive task of communicating to the skateboarder in an authentic way. Foot Locker enlisted Automatic Media to help accomplish this mission. They tapped every ounce of our service offerings, from event production to content creation. CCS was looking to add value to their sales channel by establishing a more compelling relationship with their customers. The solution was to build an online community/social platform with which community members could interact with each other and the brand. In addition members could gain exposure through the submission of videos, forum posts, comments, and the sharing actions of content to other social networks. 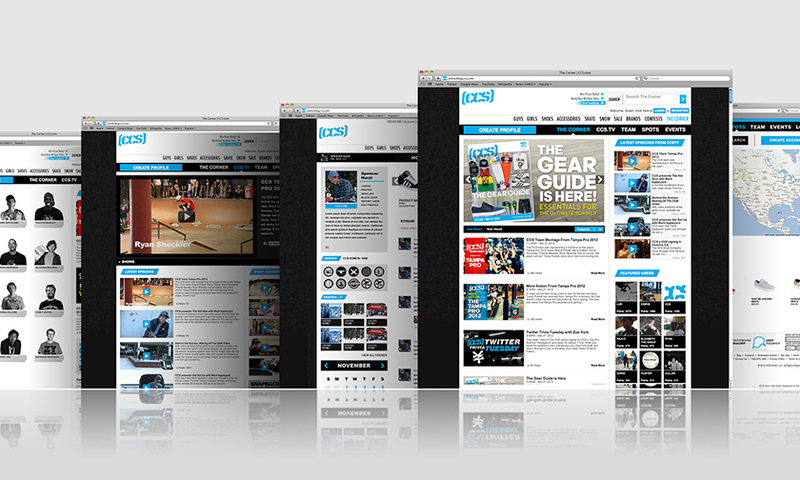 They asked us to design the front end of this community with a common goal in mind, which was to make the site both a media hub for exclusive CCS content as well as encourage users to socialize.The site was to integrate with their online store page and pull in related content and merchandise. Our design strove to make the site a destination for the skateboarding enthusiast and the brands that are associated with it. For CCS we created a wide variety of print collateral that ran the gamut from pages within their catalogs to print ads and their media kit. As part of our role in creating content for the CCS website, AUTOMATIC MEDIA produced a total of 35 exclusive original videos. The objective was to create sharable media and build the community within the brand’s core demographic. Many of these videos have been wildly successful, garnering massive numbers of views in short amounts of time. Automatic Media was enlisted by CCS to create a wide variety of logos, from one off events to full identities for re-occurring editorial departments. 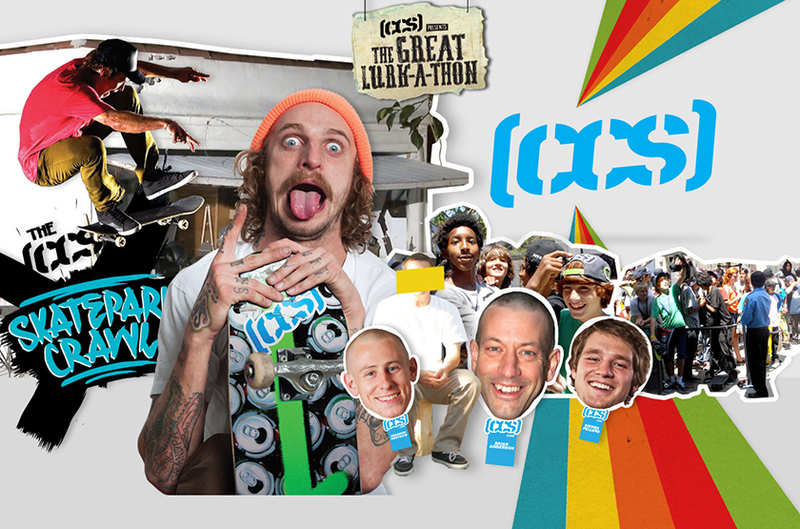 CCS/Foot Locker has the largest reach of any action sports retailer in the world. With over 2 million unique visitors each month to the CCS website, as well as one of the largest print circulations in the industry, they have some serious impressions to sell to their vendor brands. 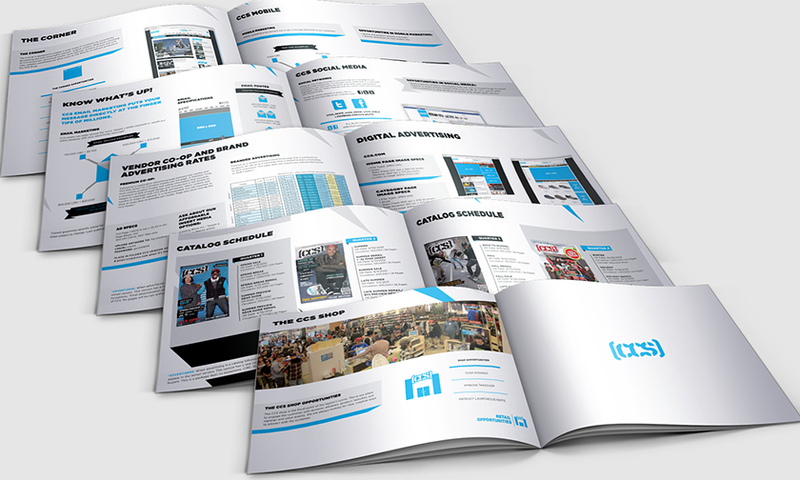 When pitching potential advertisers for print and web campaigns, CCS needed a dynamic and magnetic media kit. CCS/Foot Locker entrusted Automatic Media to conceptualize, design, and deliver one of their most important pieces of printed work. 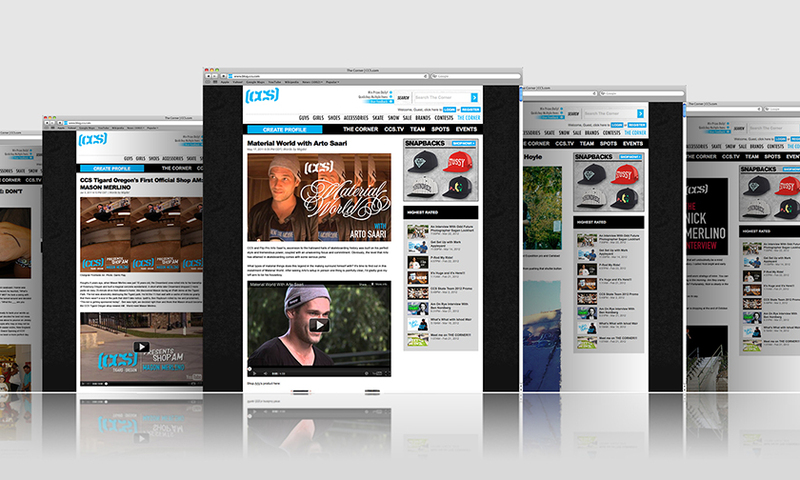 From 2010-2012 Automatic Media created dynamic content for the CCS blog. 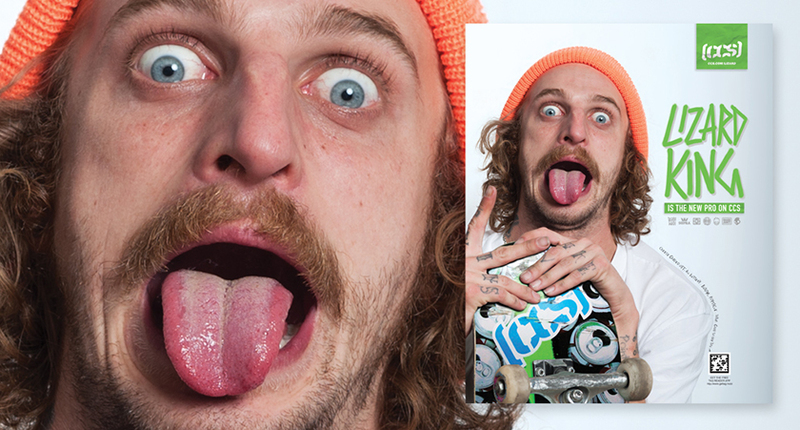 Our editorial team created exclusive interviews with team riders, developed reoccurring departments, highlighted stocked product, conducted reviews, and produced videos. The goal was to create sharable media and build the community within the brands core demographic. During our time creating content for CCS the blog traffic went from a minimal trickle to over 81,000 unique visitors a month. Our editorial plan included handling the PR for the brand as well, expertly crafting press releases and blasting them out to our vast media distribution lists. More than a clearinghouse of products, catalogs should aid in producing a buzz that lead consumers to shop. 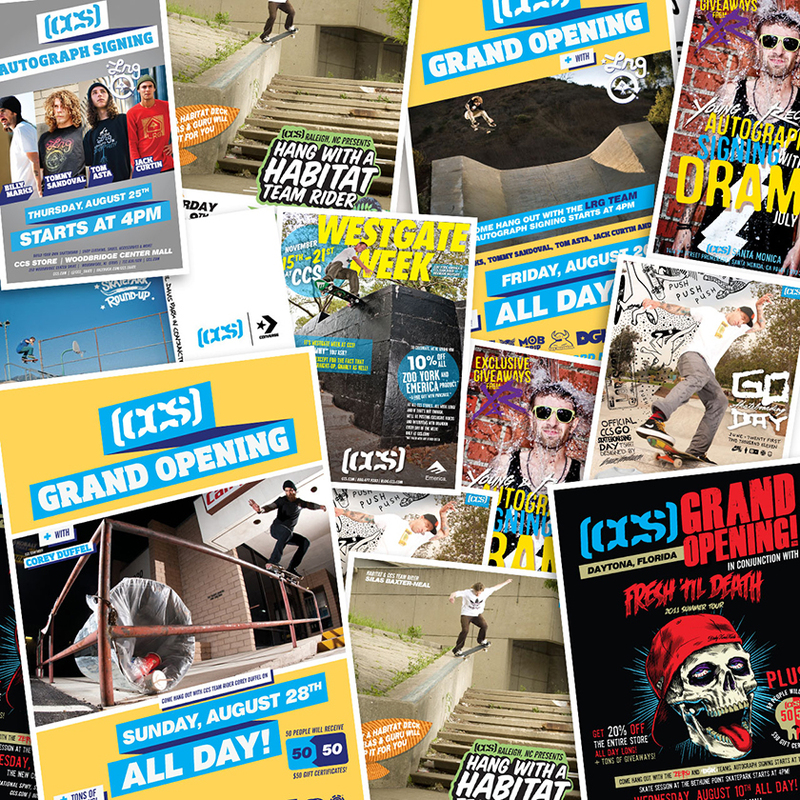 With distribution to up to 4 million households it’s safe to say that the CCS Catalog has the largest print circulation in the action sports industry. 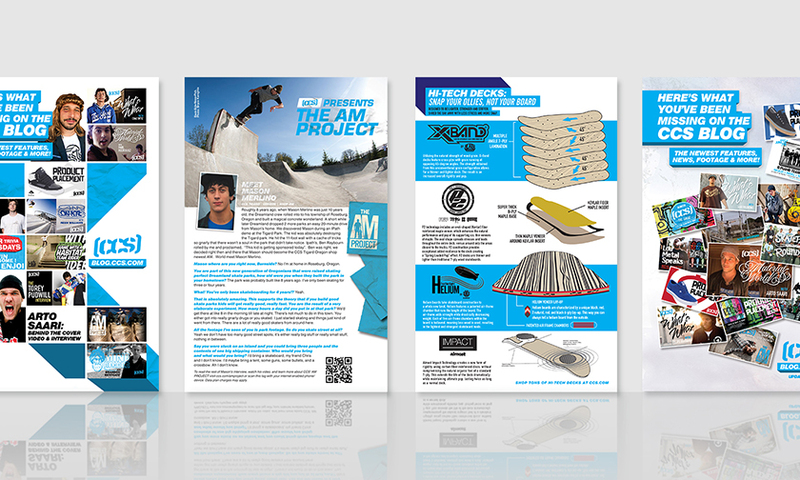 CCS assigned our team the task of delivering several layouts for their catalog. Our designs strove to captivate and inspire. In 2010 CCS/Foot Locker called on us to build an events program for their planned retail store openings. Over a two-year period we conceptualized, produced and executed massively successful events for the brand. Not only did each one of our Grand Opening events blow sales expectations away, in many cases we broke multiple all-time sales records. Sales were only part of the payoff though, we also built positive CCS brand awareness in each of the store’s regions, brought an increase in store traffic for the long term, and we built some serious brand loyalty among the core demographic in each of the store’s regions. 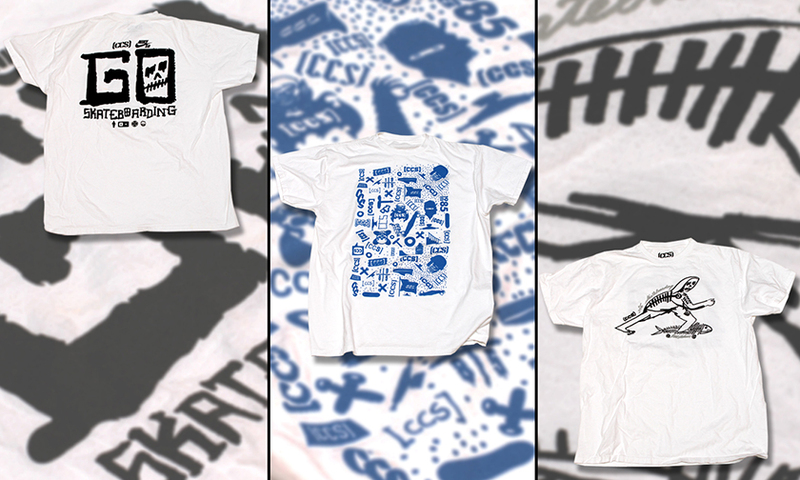 We created several rounds of designs for promotional t-shirts for CCS to use for giveaways at events. The first one we designed was a slaphappy mix of hand drawn icons, logos and skateboarding imagery.